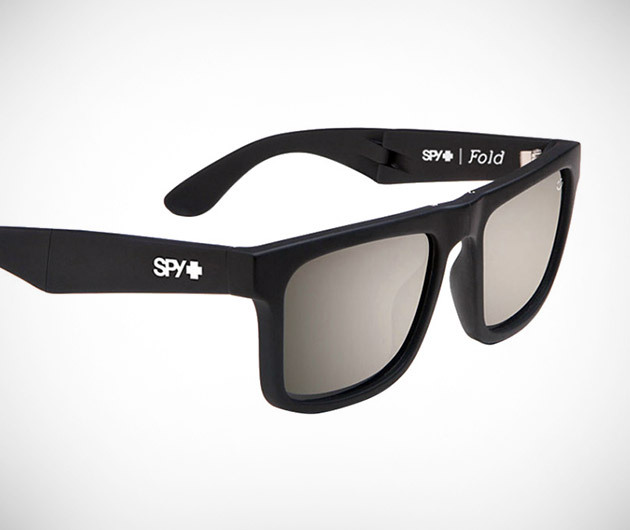 Designed for iconic wave-rider John John Florence with his "pack tight, travel light" mantra in mind, Spy Fold Sunglasses combine practicality, style and surfing. The frame is multi-hinged and folds neatly into your pocket or custom case and is constructed from durable Grilamid with five-barrel and pin hinges. The lenses are six-base curve polycarbonate and block all UVA, B and C rays and the custom pouch even doubles as a wallet.